The Lean Summit Africa provides an opportunity to Sponsors to identify with the work of the Lean Institute Africa and publicise their own commitment to Lean Management. We have a range of packages available from Platinum Sponsorship, which is the primary host sponsor of the event to creative brand-awareness opportunities for smaller organisations. The AIDC operates as a subsidiary of the Gauteng Growth and Development Agency (GGDA), an entity owned by Gauteng Provincial Government’s Department of Economic Development. It was established as a government support centre to increase the local automotive industry’s global competitiveness and to promote Gauteng as the automotive industry investment destination of choice. Having met all of these objectives, the AIDC prides itself as a world-class organization which specializes in Skills Developments and Training, Enterprise Development, Incubation Programmes, Management of Incentive Programmes, and offers state-of-the-art manufacturing support facilities. The organisation has expedited economic growth within the automotive sector by partnering with key stakeholders such as industry leaders, government, and non-government agencies, among others. The AIDC’s partnership with various OEMs and local government has resulted in the establishment of two Incubation Hubs in the province. Current Incubation programmes include the AIDC’s Automotive Incubation Centre at Ford Motor Company of Southern Africa’s (FMCSA) plant in Silverton and Winterveld Township Enterprise Hub: Automotive. Plans are underway to launch a second Automotive Incubation Centre at Nissan’s Rosslyn plant in 2018, and additional Township Enterprises in the Province. In July 2014, the AIDC launched the Gauteng Automotive Learning Centre in Rosslyn. The Learning Centre caters for the needs of industry in skills development and training. The organisation manages the Automotive Supplier Park (ASP), an automotive hub based in Rosslyn, housing various automotive component manufacturers, suppliers and service providers to OEMs including BMW, Nissan, Ford and Tata. The Graduate School of Business, University of Cape Town, has over the past 50 years charted its own distinctly African path. Year after year, our school is recognised by our global peers at the Eduniversal World Convention and in the QS Global 200 survey as the top business school in Africa. The GSB is one of only three business schools in Africa to have the prestigious triple-crown accreditation (AACSB, AMBA & EQUIS). Our school is also a member of and accredited by AABS, a unique African accreditation, which promotes excellence in management education in Africa through collaboration, capacity building and quality improvement. Our teaching, learning and research is directed towards building a more economically prosperous, more equitable, and more integrated continent. Our faculty is inspired to transform innovative ideas into relevant solutions for emerging market problems and to generate top-notch teaching materials to help others to do the same. The school is constantly investing in quality scholarship and strong partnerships to support these aims. Through initiatives like the Bertha Centre for Social Innovation and Entrepreneurship and the Allan Gray Centre for Values-based Leadership we seek to build a new kind of business school: one that is rooted in values and enables positive new ways of thinking and acting in business to achieve sustainable success. We offer a range of study options, from our academic programmes, including the MBA and the Executive MBA, to Executive Education short courses as well as masters and doctoral studies. Our campus is located in the heart of the City of Cape Town – one of Africa’s most vibrant and culturally diverse cities. In an ever-demanding business environment, world-class organisations require world-class partners to ensure sustainable success and business growth. Authentic Consulting (Pty) Ltd, enables continuous business improvement capability in companies that commences with strategic alignment, Lean maturity assessment, followed by a structured, modularised Lean implementation methodology. Included in this approach, people are capacitated through a coach-the-coach method, whereby knowledge and skills are transferred to a critical mass within the organisation. Projects are identified and trough a systemic problem solving approach, solutions are implemented resulting in business success. Over a span of more than 25 years, several hundred companies in different industries and in different countries were assisted with this approach. Through a range of experienced and seasoned consultants, Authentic Consulting assist companies to customise the Lean implementation approach to suite the company and the industry. For more information visit www.authenticconsulting.co.za, email jan.erasmus@authenticconsulting.co.za, or phone +27 (082) 882 4394. Training Leadership Consulting (TLC) is a market leader in Operational Excellence Training and Leadership Development. Established in 2001, we have been implementing and managing Business Improvement Programmes with top companies for 16 years. We have a strong focus on South African businesses but also continue to work with international clients in the UK, Africa, and the US. With Training and Consulting Expertise in Business Process Management, Lean, Six Sigma, Change Management as well as Programme Management experience, we have the team capable of delivering to your company’s requirements and skills development needs. We have worked in multiple industries with small businesses and large corporates, helping them build their internal capabilities to operate more efficiently and to reduce the cost of doing business. We believe in partnering with our clients to address the system factors that will enable their long-term success. We provide continued support and coaching to ensure that our client’s employees grow in knowledge and skills and that management achieves the results they desire. We provide internationally accredited training courses through IACET and are accredited with Services SETA. As a B-BBEE Level 2 company, we assist clients in achieving their B-BBEE targets while simultaneously supporting their business performance. For more information visit www.tlc-global.com. Life Healthcare Group, one of the largest private healthcare providers in southern Africa – offers specialist focused, multi-disciplinary hospital and related healthcare services at 64 medical facilities based in southern Africa. The Group also provides complementary services including acute rehabilitation, mental healthcare and renal dialysis. Focused on quality and clinical excellence, we place our patients at the centre of care. Our business-to-business services include employee wellness and occupational health as well as contracted healthcare management services to government facilities. Internationally, we are represented by Scanmed S.A. in Poland; Alliance Medical Group in the United Kingdom and Max Healthcare in India. SAPICS is a professional knowledge-based association that enables individuals and organisations to improve business performance. SAPICS builds supply chain excellence in individuals and enterprises through superior education and training, internationally recognised certifications, comprehensive resources and a countrywide network of accomplished industry professionals. This network is ever expanding and now includes associates in other African countries. SAPICS is also a proud APICS exclusive Premier Channel Partner for Sub Saharan Africa and a representative of multiple organisations, including the Demand Driven Institute (DDI) and the Institute of Business Forecasting & Planning. The 2018 SAPICS conference will take place from 10 to 13 June at Century City Conference Centre in the Western Cape. For more information, visit www.sapics.org.za. The Kartal Distribution supplies high quality caps, tees, sweaters, hoods, socks and laces. Their extremely creative team bring you two types of products & services. We supply a high-end branding solution on the world’s finest clothing and accessories from local to multi-national, start-up to large corporate companies & brands. For retail fashion friends we supply quality international clothing and accessory brands sourced from Sweden, Netherlands, South Korea, America & South Africa. The team will assist you throughout the production process. From design concept to finished product, they work to strict production lead times in order to meet delivery deadlines with a smile. In2Food creates innovative, premium products and solutions across a wide range of food categories. Their products are high quality, wholesome, as free from colourants, preservatives and flavourants as possible, and always designed to inspire and delight. For more information about Industry 4.0 Quality Management and Expert Systems, visit their website. 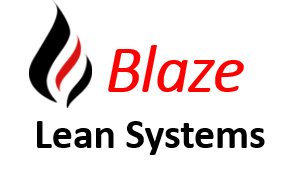 BlazeLeanSystems empowers teams to develop and implement lasting solutions to problems, enabling them to consistently achieve their performance targets. It changes the way teams work – making them both more effective (doing the right things) and efficient (doing it in the right way). For more information visit their website. If you have any questions, or you want to discuss tailored sponsorship packages, please email summit@lean.org.za or phone 0027 788 270 179.